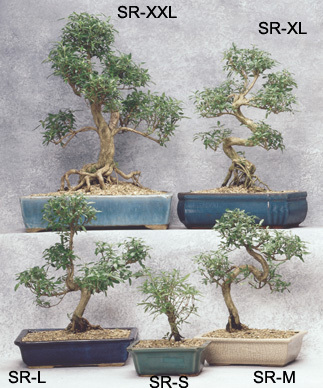 Ligustrum Sinense: This tree originates from the South of China and is tropical. It is evergreen with lovely, shiny green foliage. It blooms at summer time. It grows aerial root and become an old-looking tree after only a few years. 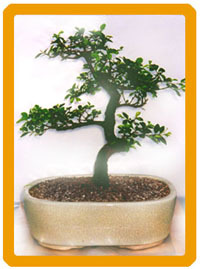 Serissa Serissoides: This tree originates from China. It is regarded as being sub-tropical. 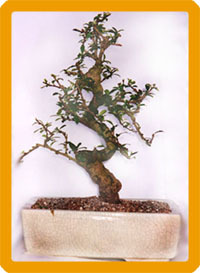 Serissa is an evergreen, although with low temperatures or sudden changes in atmospheric conditions it can drop its leaves. They should, however, quickly return. It blooms from late spring to summer with small white flowers. 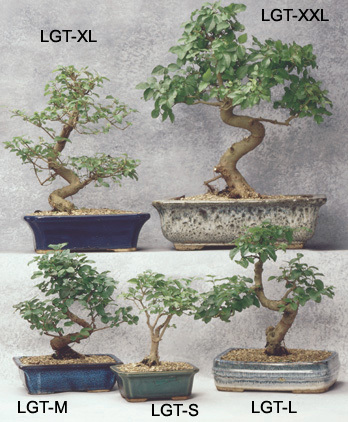 Carmona Microphylla: Also know as the, Fukien Tea, originates from Southern China and other parts of Southeast Asia, and is tropical. 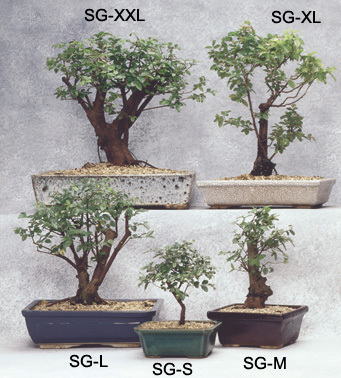 Fukien Tea is evergreen and shiny. It has tiny flowers throughout the year if the conditions are warm enough. The flowers can be followed by small green berries which will eventually turn dark if they do not fall. 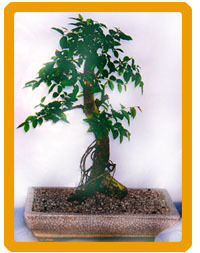 Ficus Retusa: Most of the Ficus originate in the jungles of Southeast Asia. They are tropical. 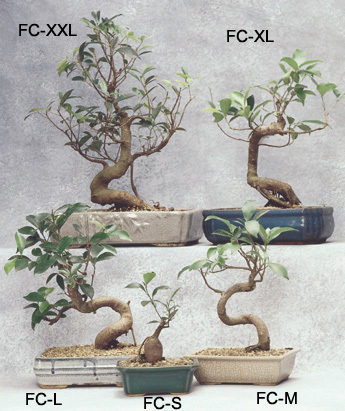 Ficus is mainly evergreen and it grows very fast. 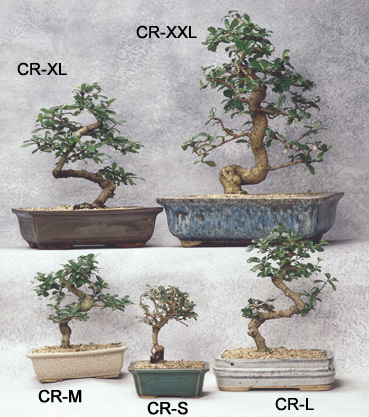 You could have an old-looking tree after only a few years because they grow aerial root which can be trained down into the soil to give an extremely aged look. 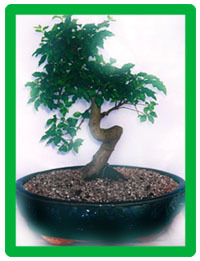 Zelkova Schneideriana: This tree originates from China and is regarded as tender temperate to sub-tropical. When cultivated in the warm and bright area, this tree will remain evergreen. It, however, will drop its leaves if the condition becomes darker and colder. 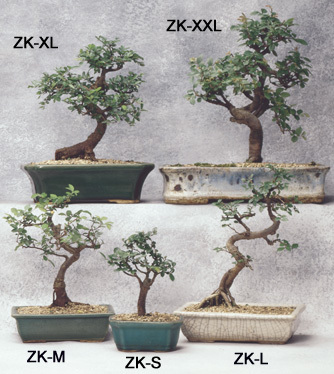 Zelkova is a very strong grower and it can do well in a wide range of growing condition. 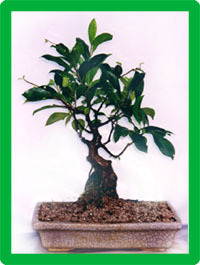 Sageretia Theezans: Its common name is “Chinese Sweet Plum”. It originates from Southern China and is tropical. Sageretia is evergreen with small, shiny green leaves that are sometimes an Sometimes small flowers will develop if the tree is left un-pruned.